The project analysis is based on information provided to n2, which included a site visit and equipment and utility information provided by this client. The facility operates 24/7, Monday through Sunday, 365 days per year. Utilities Issue- Ever rising energy costs. Electricity and natural gas are provided by the Local Utility. 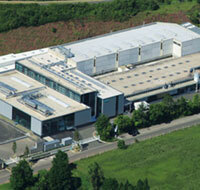 The range in demand is primarily associated with process machinery throughout the year. Install efficient combined heat and power plant to offset electricity and thermal purchases from the local utility. A Combined Heat & Power Plant that utilizes the most electrically and thermally efficient generating equipment available, one that matches the facility's base electrical load and offsets the optimum amount of the facility's thermal loads. (Process chilled water, hot water) Also considered, was the premise that this facility would qualify for the utility's rebate program for Combined Heat & Power projects. This project does meet the criteria. Installation of CHP system that will offset the natural gas required for hot water generation. Utilize absorption chiller driven by the hot water from the water jacket of the reciprocating engine. Installation of power factor compensation equipment on the electrical mains. 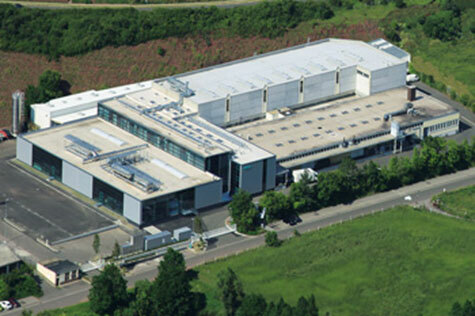 Reduced energy costs: The high efficiency of CHP technology can result in energy savings when compared to conventional, separately purchased power and onsite thermal energy systems. To determine if CHP is likely to offer a compelling return on investment at a particular site, the costs of the CHP system (capital, fuel, and maintenance) should be compared to the costs of purchased power and thermal energy (hot water, steam, or chilled water) that would otherwise be needed for the site. Offset capital costs: CHP can be installed in place of boilers or chillers in new construction projects, or when major heating, ventilation, and air conditioning (HVAC) equipment needs to be replaced or updated. Protection of revenue streams: Through onsite generation and improved reliability, CHP can allow businesses and critical infrastructure to remain online in the event of a disaster or major power outage. Hedge against volatile energy prices: CHP can provide a hedge against unstable energy prices by allowing the end user to supply its own power during times when prices for electricity are very high. In addition, a CHP system can be configured to accept a variety of feedstocks (e.g., natural gas, biogas, and coal, bio-mass) for fuel; therefore, a facility could build in fuel switching capabilities to hedge against high fuel prices. Ability to "Island"- In the event of local utility power failure, your facility will stay in production. Reduced emissions of all pollutants. Increased reliability and power quality. Reduced grid congestion and avoided distribution losses. Combined heat and power (CHP) systems offer considerable environmental benefits when compared with purchased electricity and onsite-generated heat. By capturing and utilizing heat that would otherwise be wasted from the production of electricity, CHP systems require less fuel than equivalent separate heat and power systems to produce the same amount of energy. Because less fuel is combusted, greenhouse gas emissions, such as carbon dioxide (CO2), as well as critical air pollutants like nitrogen oxides (NOx) and sulfur dioxide (SO2), are reduced. 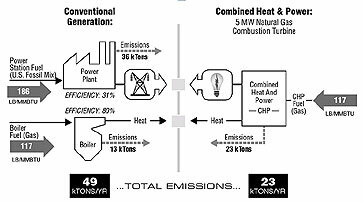 The following diagram shows the magnitude of reduced CO2 emissions of a 5 megawatt (MW) natural gas-fired CHP system compared with separate heat and power used to produce the same energy output. This diagram illustrates the CO2 emissions output from power and thermal energy generation for two systems: (1) a separate heat and power system with a fossil fuel-fired power plant (emissions based on the U.S. fossil mix) and a natural gas-fired boiler; and (2) a 5 megawatt combustion-turbine CHP system powered by natural gas. The separate heat and power system emits a total of 49,000 tons of CO2 per year (13 kilotons from the boiler and 36 kilotons from the power plant), while the CHP system, with its higher efficiency, emits 23,000 kilotons of CO2 per year.